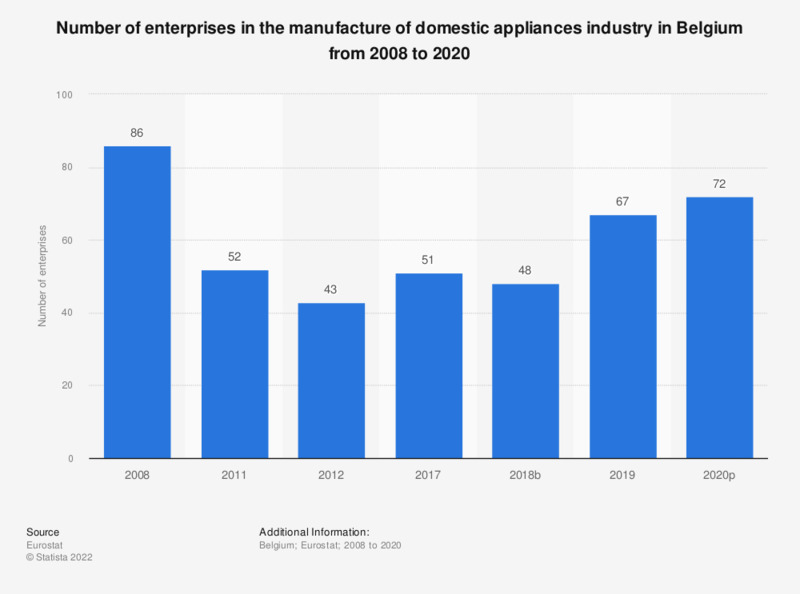 This statistic shows the number of enterprises in the manufacture of domestic appliances sector in Belgium from 2008 to 2015. In 2012, there were 43 enterprises manufacturing domestic appliances in Belgium. Data for 2009 and 2010 was held as confidential.